In separate orders issued Tuesday, the U.S. Supreme Court blocked two lower court rulings that invalidated parts of the state's congressional and House maps where lawmakers were found to have discriminated against voters of color, putting on hold efforts to redraw those maps. 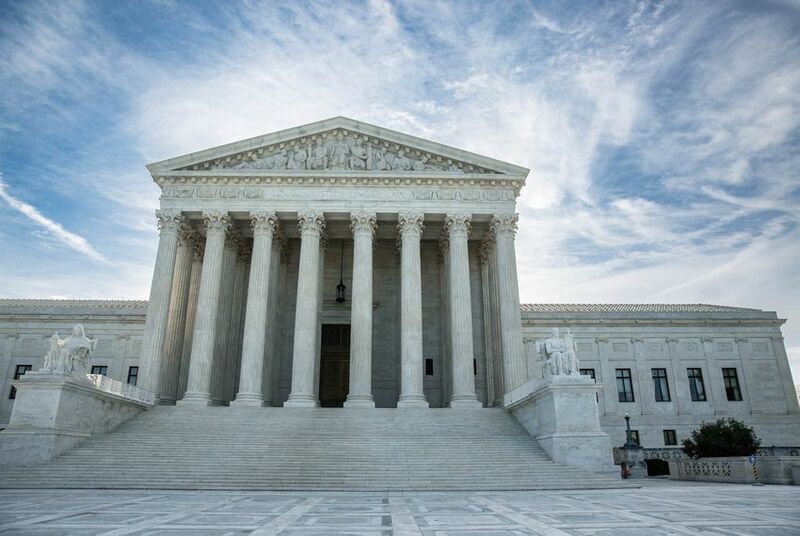 The U.S. Supreme Court has dealt a serious setback to those hoping Texas would see new congressional and House district maps ahead of the 2018 elections. In separate orders issued Tuesday, the high court blocked two lower court rulings that invalidated parts of Texas' maps where lawmakers were found to have discriminated against voters of color. The justices’ 5-4 decisions stay the rulings — which would have required new maps — as they take up an appeal from Texas Attorney General Ken Paxton. Justices Ginsburg, Breyer, Sotomayor and Kagan dissented from the majority opinion. The development could upend efforts to get a new map in place ahead of the 2018 elections. After years of legal wrangling, Texas and the minority rights groups suing over the maps were finally set to hash out new maps in court last week, but those hearings were canceled as the Supreme Court asked for responses from the minority rights groups to the state’s emergency request for the high court to intervene. Election administrators have said they need clarity on district boundaries by October to meet timelines to prepare and send out voter registration certificates and avoid electoral delays. Minority rights groups suing the state rebutted those claims, arguing that “the right to legal districts prevails” when choosing between delaying electoral deadlines and addressing “voters’ ongoing harm” under the current maps. In siding with the state, the high court made it more likely that Texas will use its current maps in the upcoming elections. The high court could also choose to delay the March primary elections. Its decision is likely months away. Tuesday’s orders are only the latest developments in an incredibly complicated six-year legal fight over the state’s political lines. The state’s current maps — adopted by the Legislature after judges in 2012 tweaked boundaries drawn following the 2010 U.S. census — have been used during the past three election cycles. A three-judge panel in San Antonio ruled last month that the state’s congressional and state House maps needed to be redrawn to address voting rights violations. Specifically, the court found that the districts drawn by Texas lawmakers were tainted by discrimination against voters of color. The congressional districts in question are CD-27 in Nueces County, where Hispanic voters were “intentionally deprived of their opportunity to elect a candidate of their choice,” and CD-35 in Central Texas, which was deemed illegally drawn because lawmakers used race as the predominant factor in deciding its boundaries. On the state House side, the court flagged nine districts in four counties — Dallas, Nueces, Bell and Tarrant — in which lawmakers diluted the strength of voters of color. In some instances, the court pointed out, they rejiggered lines to “to ensure Anglo control” of legislative districts. Adjusting boundaries in those districts could lead to a wider reconfiguration of the map because neighboring districts could also be affected. With the 2018 elections looming, the Texas Attorney General’s Office quickly appealed in an effort to keep existing political boundaries intact. State attorneys wrote that the lower court was “intent on having its own judicial maps govern” the elections and had “waited too long” to put the case — let alone possible new maps — before the Supreme Court for review in an orderly manner. The court’s brief Tuesday orders offered no clear indication on whether it agreed with those claims.